There are few plants that can compete with the beauty of a tree peony in full bloom. A mature plant can boast in excess of a hundred exotic blooms, each measuring up to 25cm (10") or more in diameter! The flowers of tree peonies are famed the world over, and really are quite gigantic, held on strongly branched stems. 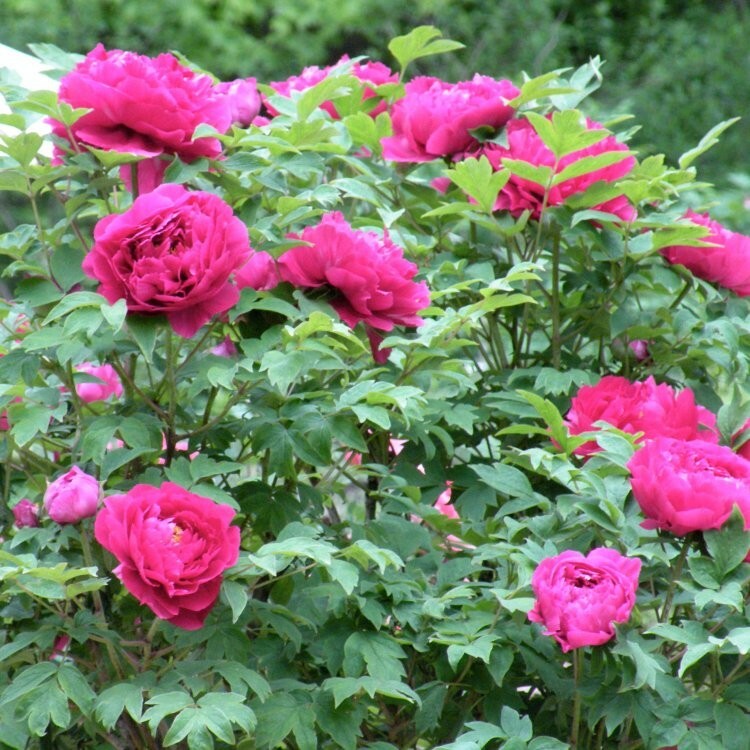 There are few plants that can compete with the beauty of a tree peony in full bloom. An arresting sight in summer, a mature plant can boast in excess of a hundred exotic blooms, each measuring up to 25cm (10inches) or more in diameter! This 'Zhi Hong' variety has ruffled red-pink blooms with a central boss of golden yellow stamens, the Chinese name roughly translating to Cochineal Red. These exceptional shrubs are hardy and disease resistant, fully hardy down to -20c and will continue to bloom for a lifetime. The exotic flowers of the tree peony are simply breathtaking in borders and make exquisite cut flowers for vases indoors. 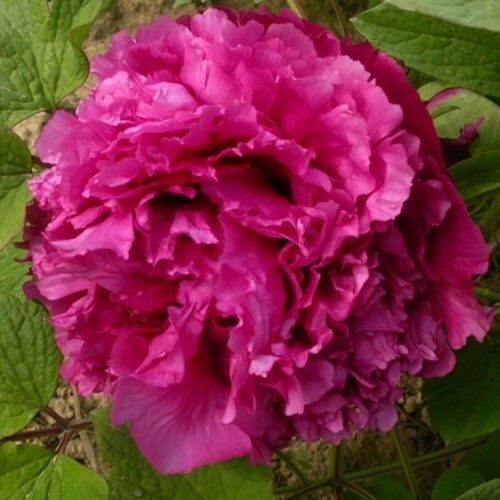 Supplied as high quality plants in approx 4 litre containers, these are very well established multi-branched plants that are mature enough to display their exquisite blooms and flower in their first year with you - very fast for peonies, which can be notorious to coax in to bloom - we have done all of the hard work.